AdamsTaxi Car Service is located in 200 Adams St. Beford Hills, NY 10507. Our fleet of Cadillac Cars are ready to respond promptly to your local needs, we are just minutes away from White Plains Airport, and servicing JFK, LaGuardia and Newark airports as well. AdamsTaxi offers local service in Westchester County area, NY major airports and surrounding areas with State of the Art Reservation & Dispatch System. 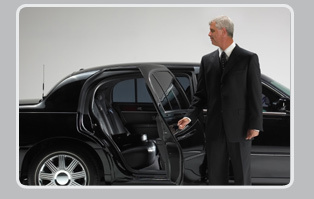 Our commitment to excellent customer service and focused attention to every detail, assures that your ground transportation arranged with AdamsTaxi will always be the most pleasant, safe and memorable in the industry. We will transport you to your destination in style and comfort. 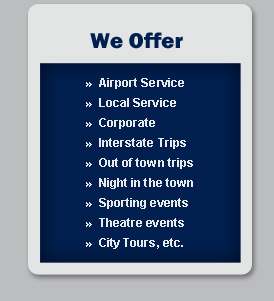 Our personalized service can be tailored to meet your specific travel needs. Our cars will pick you up from any New York antd Westchester County area and will take you to the airport of your choice, we operate to and from the NY airports every day, 24 hours a day. local and airport car service. All major Credit Cards, Cash & Traveler Checks. The call operators are bilingual and can attend your requirements.